The Grey Bruce Labour Council is proud to be counted as one of many sponsors of the upcoming Kincardine Pride Community Event. • Equal access to decent wages, benefits and pension. When it comes to the community at large, Labour Council President, Kevin Smith wants people to know that “Pride events bring together not only the LGBTQ community to secure all the aforementioned but seek out all equity groups and sectors of the community. 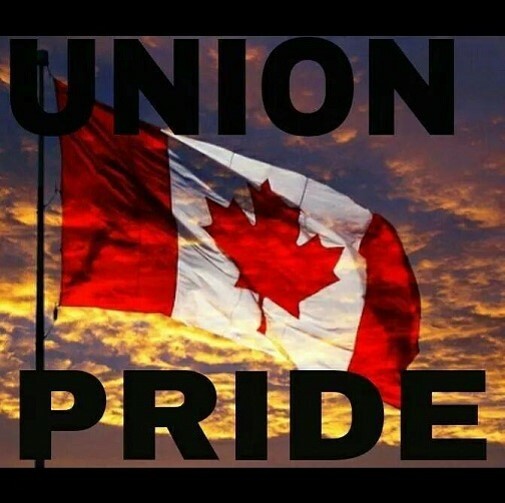 Getting and keeping a good job; safe, respectful communities; health benefits for us and our loved ones…these are all LGBTQ and equity seeking group issues and we need strong labour unions to get them”. In supporting and participating in Pride Events, the Trade Union Movement through unions and working people can join together to win better wages, benefits and a voice on the job. The power of a strong and vibrant trade union movement has also been crucial to advancing LGBTQ equality and the equality of equity seeking groups. The Grey Bruce Labour Council is the voice of thousands of workers in Grey and Bruce Counties and the Labour Council offers profound congratulations to the organizers of the Kincardine Pride Event. All affiliated unions are invited to march in the event and to bring members along with flags and floats. This entry was posted in Uncategorized on March 30, 2017 by greybrucelabour. This entry was posted in Uncategorized on March 11, 2017 by greybrucelabour. Our National Strike Fund is very healthy with over 90 million dollars in the bank. By managing our money carefully, CUPE National has made improvements to our Strike Fund regulations to help our 643,000 members when they need it most. At our last national convention, we struck the National Strike Fund Taskforce. Since then, taskforce members have been hard at work. They built a consensus on a shorter waiting period to receive strike pay, more flexible picket line shifts and better consideration for other strike duties as well as changes for locals who do not have the right to strike. At the September 2016 National Executive Board meeting, the taskforce report was unanimously adopted. For the first time in our history, our members will start receiving strike pay on the fifth day of a strike, instead of waiting for nine days. In addition, for members who need an accommodation we now have clearer regulations. Access to strike averting campaign funds will also be easier. We will have more resources to prevent a strike and to build our power before bargaining breaks down. 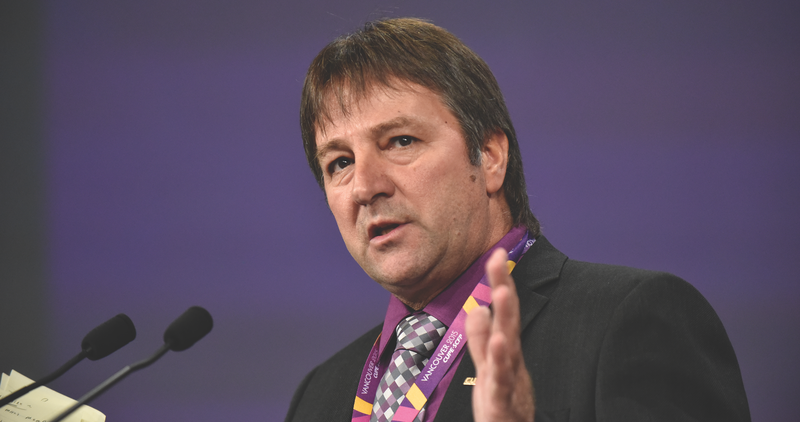 CUPE National has increased its contribution for interest arbitrations. We now cover 90 per cent instead of 75 per cent of the cost of the union nominee on boards of arbitration. With the improvements made last year, we now cover 100 per cent of a local’s share of the cost of an arbitrator for interest arbitrations. Training for elected officers and staff on the Strike Fund regulations will be increased, and the Strike Fund regulations will be reviewed every four years. Overall, we have a solid and more generous Strike Fund. This makes our national union stronger, and employers and governments understand this. At CUPE, we do many things to prevent a strike. But sometimes, going on strike is the only way to hold onto what we have and to make gains. In 2017, as always, CUPE National will continue to be there with you in your bargaining fights, and we have the financial resources to back you up and win. This entry was posted in Uncategorized on March 8, 2017 by greybrucelabour. A report from the Economic Policy Institute shows the persistence of the gender pay gap, with union membership as a way to achieve greater equality. Depending on how and what you measure, researchers will reach different numbers for the gender pay gap, says a report from the Economic Policy Institute. It’s just a matter of how much, depending on the criteria used, like education, age or occupation. A bright spot in the report involved union membership. Not only do women in unions make more than their nonunion counterparts, they experience a smaller gender pay gap. Women with the benefit of a collective bargaining agreement make 89 percent of what their male counterparts do, compared to 82 percent for women who aren’t covered. As far as that remaining 11 percent, Jessica Schieder, a research assistant and report co-author, suggests that it may be explained by forces that can’t be addressed in a contract. If a woman bears the majority of childcare or elder care, for example, she may work fewer hours and therefore earn less. Erin Sullivan, a journeyman wireman and member of New York Local 3, says she had to care for her dying mother while still working. The FMLA is the Family Medical Leave Act, a federal law that guarantees up to 12 weeks of unpaid time off without losing your job. Shieder also said union women aren’t evenly distributed among job classifications. Higher paid manufacturing jobs are still predominantly men’s jobs. And as the report noted, jobs that are considered women’s work tend to be valued less than jobs held primarily by men. Alice Phillips, business manager of Tacoma, Wash., Local 483 has seen it contract negotiations. Male-dominated classifications will get a 1.5-2 percent raise, compared to only 1 percent for female-dominated jobs, she said. “Does an electrician’s dollar have more value than a clerical worker’s? Management treats clerical staff like they’re a dime a dozen,” Phillips said. Despite the obstacles, a union job in the building trades still provides a lot of opportunity and a rewarding career. The report looked at occupational choice as a factor in the pay gap. While men are still more likely to choose science and engineering-related careers than women, even within these occupations, a gap persists. “Gender discrimination doesn’t happen only in the pay-setting practices of employers … It can happen at every stage of a woman’s life, from steering her away from science and technology education to shouldering her with home responsibilities that impede her capacity to work the long hours of demanding professions,” the report stated. Local 103 was part of a trade conference for high school girls in March to encourage their participation. Events like these can be an important step for recruiting. Male-dominated workplaces can be hostile to women, but workplace attitudes are trending toward inclusion, Phillips said. 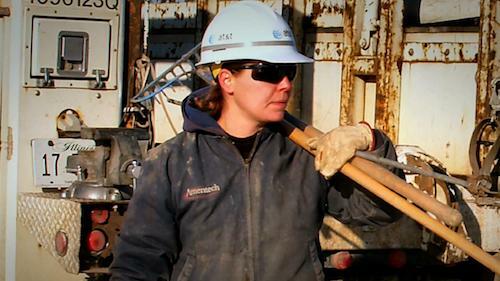 Broomstein, Phillips and Sullivan noted that the trades can cultivate these inclusive attitudes, from personal leadership to more formal programs. Local 3 started a diversity training that is mandatory for anyone in supervision, Sullivan said. She also noted the IBEW women’s committee and Code of Excellence as tools to improve relationships. Considering that the average woman loses $530,000 over the course of her lifetime because of the gender pay gap, it’s an issue worth addressing. This entry was posted in Uncategorized on March 2, 2017 by greybrucelabour. The Grey Bruce Labour Council is proud to be counted once again as a sponsor of the Kinetic Knights. According to Labour Council VP, Dave Trumble, “the diversity of the team and the ability for students to not only practise their strengths but to experience the non-tradition…al work experience is a core piece of the Labour Councils’support”. In aiding FIRST Robotics in sustaining the significant emphasis on health and safety the Labour Council boasts of having, as delegates, two of the original FIRST Safety Advisors. Power Workers’ delegates, Kevin MacKay, and Dave Trumble worked for several seasons as Safety Advisors. Labour Council President, Kevin Smith notes “that health and safety is a cornerstone of the trade union movement and the Kinetic Knights have always been a team that builds health and safety into the fabric of their being”. Smith adds further, that the synergy of a diverse group working to a significant degree in non-traditional roles while learning the keys to health and safety is a recipe for success and the Labour Council hopes this modest sponsorship will help the team to success at all levels of work from build to competition”. Jed Gonsalves and Brenden Arciszewski of Team 781, the Kinetic Knights, received the cheque for $500 and wishes to thank the Labour Council and all sponsors. The Grey Bruce Labour Council is the voice of Labour in Grey and Bruce and brings together public and private sector unions and like minded groups to ensure the voice of workers is heard to benefit all our communities. The Labour Council is a proud supporter of many socially responsible activities and organizations in our region and with the pending International Women’s Day celebrations the Labour Council wishes success to all involved in fundraisers for our local shelters. The Labour Council donated $500 to each of the three shelters in our region. For Further Information, please contact the Grey Bruce Labour Council at 519 955 1061.